There hasn’t been much happening in the thrift store department as of late. Pregnancy has pushed me into a sincere decluttering mode and the busyness of life has left little time to spend thrift shopping. However, I have carved out some time for thrift stores these past two months. Here’s what I managed to drag home. 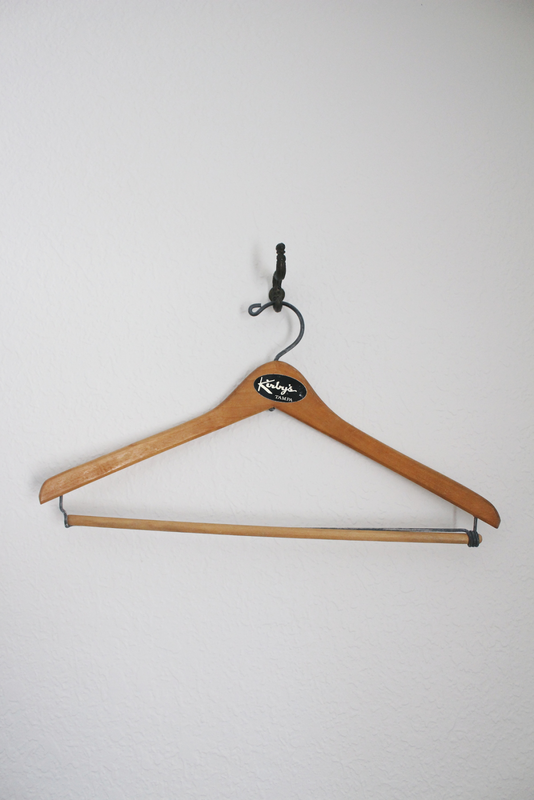 In November, I bought a decent amount of vintage wood hangers. I’ve always wanted wood hangers so I was pretty excited about this. I don’t remember how many I bought (and I’m not about to go count) but I did get a good deal. 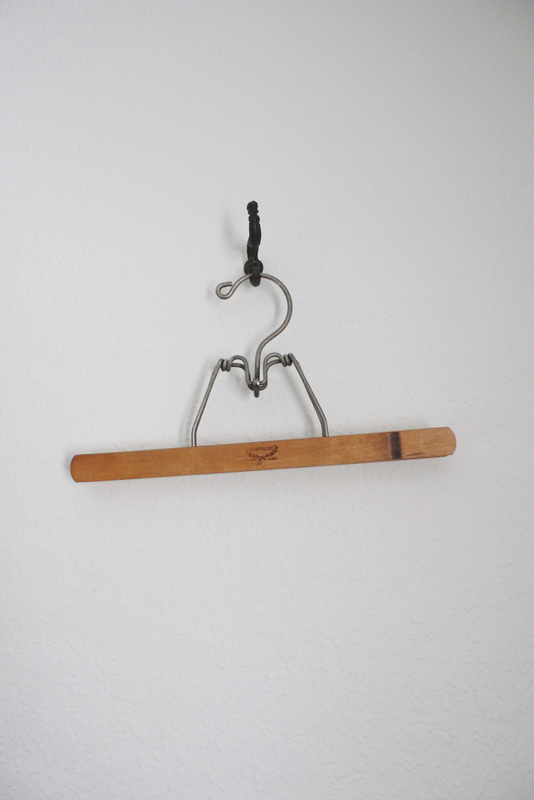 Now our sophisticated wood hangers are hanging out with our plastic and metal hangers. And because the worth of a person is obviously based on what type of hangers their clothes sit on, I’d say we’re making progress. From that same thrift store, I also bought three additional glass pie plates (we now have four) and a vintage puzzle to add to the collection. Reminding myself that the pie plates were a necessary purchase puts my decluttering habits at ease. For Thanksgiving and Christmas, I make at least four pies to bring to dinner. It just makes more sense to spend the money on glass pie plates than to keep re-buying disposable aluminum ones. I am also pretty sure I brought a book or two home, but I can’t remember which one. Palgrave’s Golden Treasury looks new-ish, so I’ll run with that. 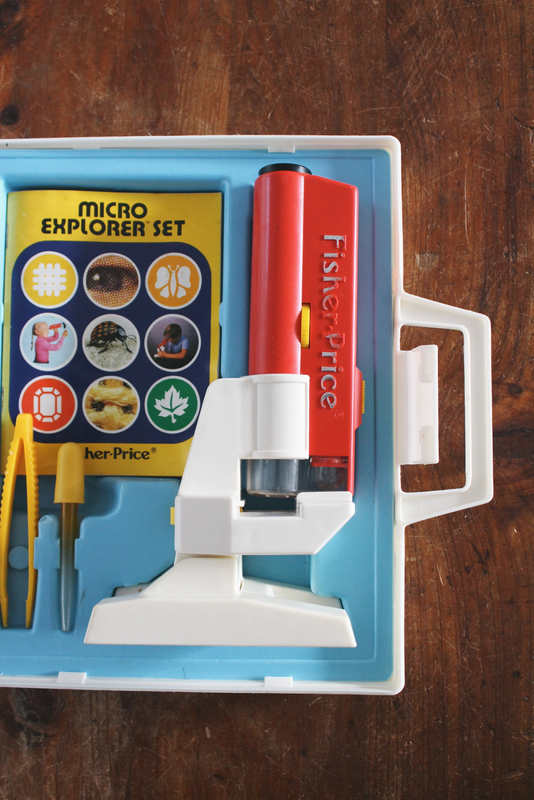 The only thing that I thrifted in December was this Fisher Price Micro Explorer Set. 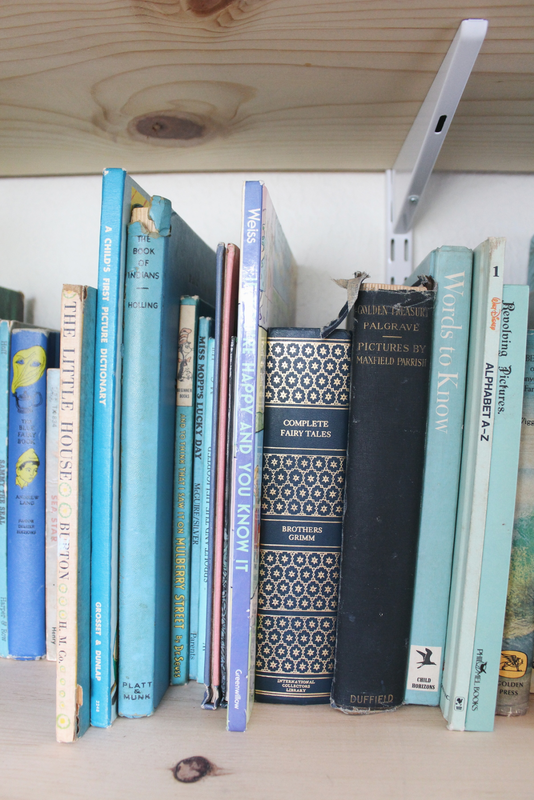 Eliana and I went on a little thrift store shopping date one Sunday when we came across this. I let her hold it around the store even though I wasn’t sure if I wanted to buy it. She loved it. I noticed the batteries were corroded and weren’t easily removable so I was able to talk the price down from $3 to $1.50. I expressed to Eliana that I wasn’t sure if we would be buying it, so when I eventually told her we would and handed her the money to pay for it, she was ecstatic. Since it was before Christmas she kept asking, “Mommy, is this my Christmas present!?! !” the whole way to the car. When we got home I pried the batteries out and cleaned the compartment with a vinegar solution. That seemed to do the trick. 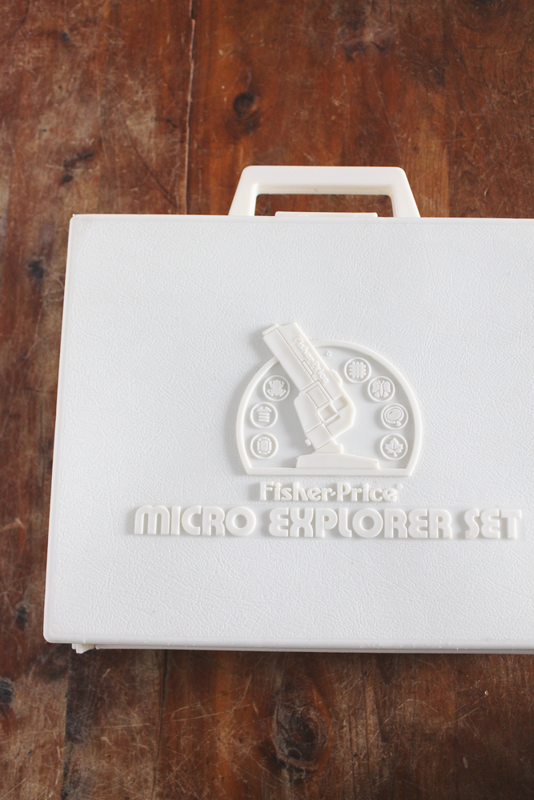 I’d consider that a good last thrift store find for 2014, wouldn’t you?